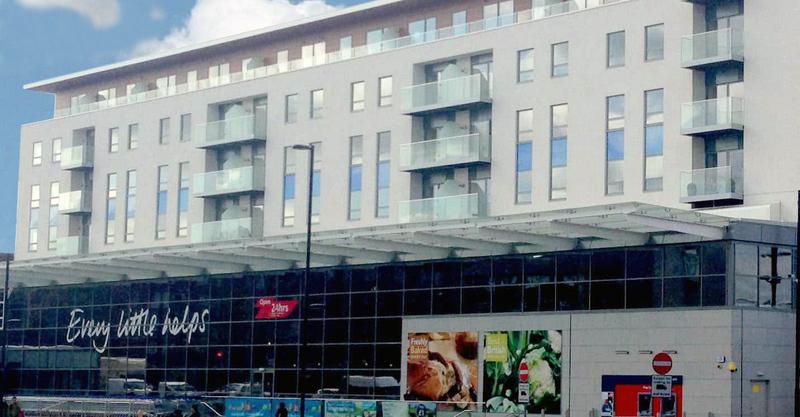 Arkoni Metalwork has played a key role in the construction of Streatham Hub, a mixed use development that includes retail, leisure, residential and transport elements created on behalf of Spenhill Regeneration working with the London Borough of Lambeth. As well as a large new Tesco store, 250 residential flats and a leisure centre, the new build project features a new Transport for London bus interchange and underground car park with Vinci Construction operating as contractors in partnership with architects Michael Aukett. Arkoni supplied and fitted a very large glazed canopy with ceramic diffuser as well as fire-rated glazing and non fire-rated steel curtain walling and glazing.